Local sources reported that a named civilian man from Al-Salam neighborhood in Al-Boubdaran district, was killed by an alleged Coalition airstrike. Sources reported on the incident between December 6th-8th, but did not mention the exact date. 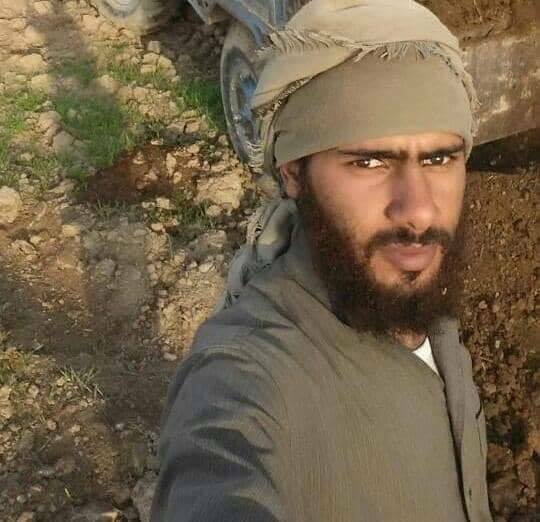 Ahmed Ramadan Al-Baghouz, killed in an alleged Coalition airstrike (via Euphrates Post). On Dec. 3 in Syria, Coalition military forces conducted 38 strikes consisting of 93 engagements against ISIS targets. Near Hajin, 38 strikes engaged 12 tactical units, and destroyed 10 supply routes, five staging areas, two weapon caches, four improvised explosive device facilities, two buildings, two fighting positions, one anti-aircraft system, one rocket storage site, one tunnel, two heavy equipment, and one vehicle storage. On Dec. 4 in Syria, Coalition military forces conducted 31 strikes consisting of 66 engagements against ISIS targets. Near Hajin, 31 strikes engaged seven tactical units, and destroyed 15 fighting positions, eight staging areas, four supply routes, two pieces of engineering equipment, three command and control nodes, one piece of heavy equipment, and one weapons facility. On Dec. 6 in Syria, Coalition military forces conducted 32 strikes consisting of 63 engagements against ISIS targets. Near Hajin, 32 strikes engaged four ISIS tactical units, and destroyed 13 fighting positions, five staging areas, six supply routes, two pieces of engineering equipment, one logistics facility, one petroleum oil and lubricant tanker, one piece of heavy equipment, one heavy machine gun, one tactical vehicle and one financial facility. In the fight against ISIS, Dutch F-16's supported ground troops during 9 missions. Weapons were deployed during 6 missions. The aircrafts were operational above Syrian provide Deir Al Zour near Abu Kamal and targeted vehicles, logistical places and IS-fighters. Thursday 6 December – Typhoons attacked a Daesh position north-west of Hajin... Typhoons conducted a further strike in the same area the following day, accounting for a further terrorist position.